We understand that financial difficulty arises for all sorts of reasons. Every case is different, so the first thing you should do is talk to us. 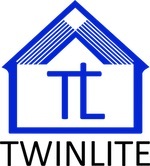 Send us an email at support@twinlite.com and our team will contact you. Confidentiality is assured. Genuine cases of financial difficulty are reviewed with compassion, and we will provide whatever assistance we can. There are also a number of Government agencies which can also assist you with housing costs, please see the Department of Social Protection website for more information.